Hello People of the Philippines! Are you planning to travel with children/minor (17 yrs old & below) outside the Philippines? Note, you cannot just book your cuties nephews/nieces/cousins/inaanak and apply passport as easy like that. 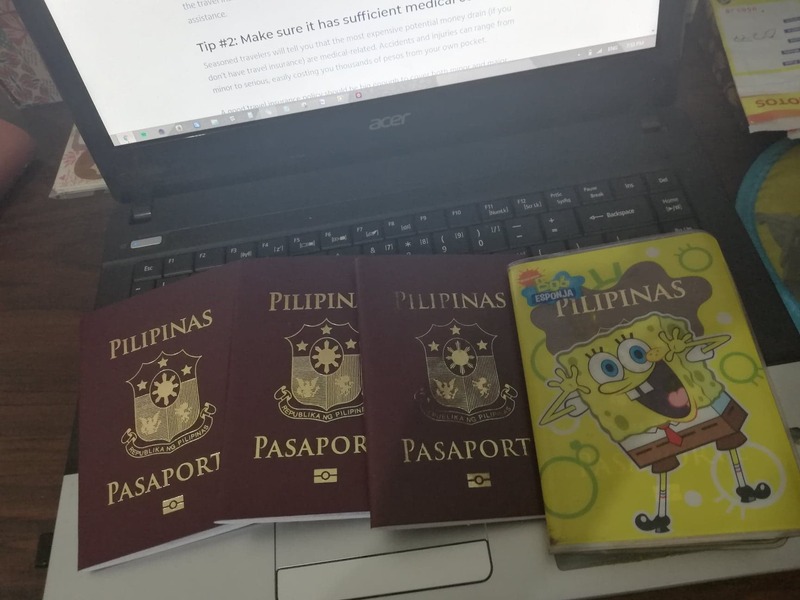 Lately, Philippine government is strict (to prevent abused on minors) on travelling with minors if you are not the bioligical mother (even if you are the biological father, there are still papers you have to secure before you can apply passport or leave PH). ONLY biological mother (as listed on minor's birth certificate), can get passport without securing DSWD Clearance. If your minor doesn't have yet a Philippine passport (different case for another passport holder/citizen). 1st step is to secure a DSWD Clearence. If your child is traveling alone, a guardian must complete all international customs forms at check-in. Minors (under age 18) traveling internationally without one or both parents may be required to present a letter of consent signed by any/all non-traveling parents. Ours was executed abroad, as the mother is currently OFW. I received two copies (1 original & 1 certified true copy). Make a copy equivalent to how many minors you will get clearance. These will be attached to each minor. 4. As appropriate, a PSA-issued marriage certificate of the minor’s parents or a photocopy of the certificate of legal guardianship of the minor or in the case of solo parents, a PSA-issued Certificate of No Marriage (CENOMAR) and a photocopy of the solo parent identification card from the Municipal Social Welfare and Development Office or a photocopy of a certification from the Local Social Welfare and Development Office of being a solo parent or Tallaq or Faskh certification from the Shariah court or any Muslim Barangay or religious leader or in the case of an illegitimate minor, a certificate of no marriage (CENOMAR)* from the PSA or in the case of a deceased parent, a photocopy of the death certificate. ***My brother and his partner were not married before he passed away, so we skipped this, the SPA and Affidavit of Consent from the mother sufficed. 5. Minors who will be accompanied by a person other than their parents or legal guardian during the trip must also provide a photocopy of his/her adult companion’s passport. ***I have provided by valid passport and UMID. ALWAYS bring copies and original and two valid IDs for trouble-free. We arrived at DSWD Alabang office around 10AM, we were given #40 queue number. How soon you can get the clearance? We got ours the same day, after lunch (2pm). Next step: PASSPORT! As of July 9, 2018, For people residing and covered by DSWD Field offices of NCR, VII and XI; DSWD launches online application for travel clearance for minors & these offices ONLY accept online application for Travel Clearance during the pilot testing period. Check it out DSWD Online Travel Clearance for Minors Travelling Abroad . Luckily we are from Cavite, DSWD Field office for residents in CALABARZON is just nearby. It is the office of DSWD onfront of Alabang Town Center, click on the link for google map if you are not familiar. After securing your DSWD Travel clearance, you can now get passport for your minor travel buddy. Note, that DFA won't let you get a passport without this (except if applying with the mother). Travel clearance is both for passport application and Immigration purposes. Neatly compile all your papers/requirements (to avoid cramming & missing/forgotten docs on the day). Provide ALL photocopies per each applicant. I have expedited the kids passport as we were advised by the DFA personnel, there are some delays of their issuance. I don't want headache. We applied on March 28 (Thursday), if expedite issuance is April 5 (Friday), regular April 15 2019 (Monday). I made a follow up via email as early as April 3 (Wednesay) early in the morning, they replied around 6pm same day, informing me the passports are ready to be picked up by April 4 onwards. Yey for that! Be a a girl scout and prepare documents with more than two photocopies. Thanks to the internet, I have thoroughly search the requirements and it was really hassle-free! Please be informed this is accurate as of April 2019. There might be changes of requirements, always check DSWD and DFA . Hope this post is informative enough to help you. Happy travels with the kiddos!